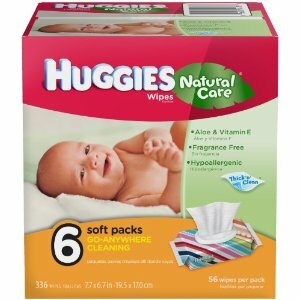 336 Huggies Natural Care Wipes for $0.02 Each, Free Shipping! Amazon Moms can get 336 Huggies Natural Care baby wipes (8 packs of 56 wipes) for $8.22 with free shipping. That's about $0.02 per wipe, which is my recommended “buy” price for name-brand wipes! Be sure you're signed up for Amazon Mom. If you're not, I'm very sorry that registration isn't open right now. I'm hoping they'll allow new members soon after the holidays. Look to the blue box in the upper right corner (like the one pictured above). 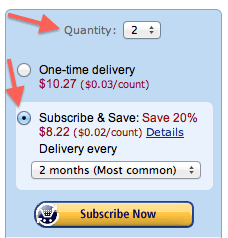 Select the quantity you want and choose the button next to Subscribe & Save. Click the yellow Subscribe Now button and complete your order. Remember, you're under no obligation when you order with Subscribe & Save. 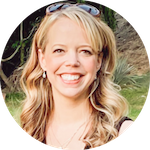 You can log into your Amazon account and choose to skip shipments or cancel it altogether.